As part of research conducted by the Legatum Institute, the latest index for global prosperity has ranked New Zealand, Australia, Canada and the United Kingdom in the top 10 countries for 2016. The index is an annual ranking based on a variety of factors, including wealth, economic growth, education, health, personal well-being, and quality of life. In total, 149 countries were researched and ranked in accordance to their economic prosperity, with the CANZUK nations placed higher than leading economies such as Germany, Russia, China and the United States. 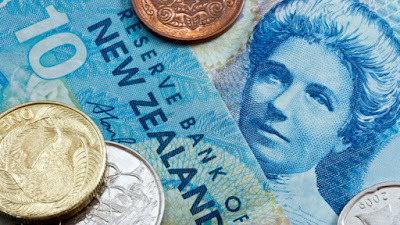 New Zealand topped the prosperity chart this year, scoring highest overall in economic quality and social capital. Canada placed fifth, Australia sixth, and the United Kingdom tenth. On average, the CANZUK nations (if operating under a customs and free movement initiative) would place fifth overall, ahead of developed countries such as the Netherlands, Sweden and Denmark. The report compliments previous research conducted, detailing CANZUK countries rank 5th in the world for quality of life, and individually place within the top 10 “free economies” index for 2016. A combined economy under free movement would also position a CANZUK union as one of the strongest economies in the world. By introducing free movement, the foundations of a single labour market would effectively be created, allowing citizens to work and study freely while businesses recruit the best international talent from CANZUK nations. By forming a customs union and free mobility zone, CANZUK Gross Domestic Product (GDP) would constitute the fourth largest in the world at US$6.5 trillion, with global trade of these four countries bringing in more than US$3.5 trillion. As the Legatum Institute have publicly stated from their report, “The Commonwealth delivers greater prosperity, and greater prosperity given its wealth, than the global average. We see the developed Commonwealth “Anglosphere” bloc of New Zealand, Australia, Canada, and the United Kingdom deliver greater prosperity than any comparable bloc, including the Nordic area and Western Europe“. It is therefore clear our economies can effectively combine under freedom of movement with few/no negative economic consequences, and furthermore, create even greater prosperity for our nations in the future. For more information regarding our campaign for free movement between the United Kingdom, Canada, Australia and New Zealand, please contact us at support@CFMO.org.